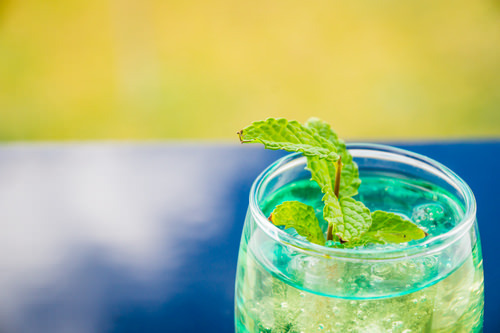 If you want to treat you guests with fresh and delicate drink you should definitely think about mojito. It will help you to make your festive table a bit different. First, you prepare a mixture of agave syrup, mint leaves and brown sugar. After, combine it with rum and lemon juice. And don’t forget about ice. You should use a cocktail shaker for making this drink. Pour the mixture into the glass and dip it in a container with sugar and lime. Cocktail is ready for drinking up. To make it more delicious you can include raspberries or strawberries to this recipe. Muddle them together with mint.